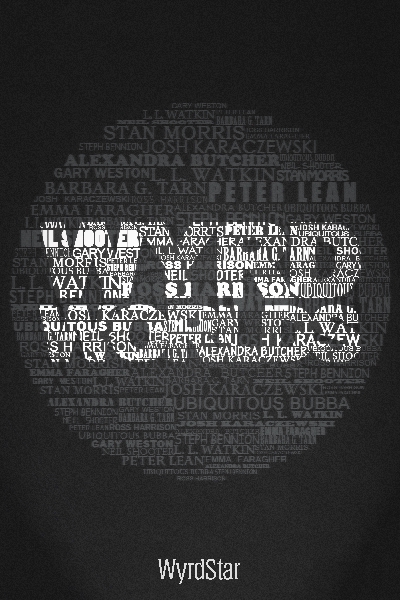 Irrevocable is a short story that I contributed to the Wyrd Worlds II sci-fi anthology. You can read the story below in its entirety or you can download the Wyrd Worlds II anthology from the link below. It is free. HORIZON - KIRA: PART 2 by Ross Harrison - It was just her and a boy, alone. Kira had to concentrate on keeping him alive. THE VISITOR by Neil Shooter - Time is relative. On an ordinary blustery British night an extraordinary visitor comes. A WORLD TAKEN OVER by Douglas Schwartz - He had conquered the world. How much more effort was it going to be to unconquer it? HUMANITY WAS DELICIOUS by Ubiquitous Bubba - Imagine you were the werewolf who ate the last human. What will you eat now? More importantly, how are you going to get off this alien ship? MY LAST DAY by Zach Tyo - Disaster awaits the Earth, yet an unexpected gift brings joy. GUISARME by Barbara G. Tarn - Members of the Assassins' Guild can be as honorable as anyone. They might be trained to kill, but they're just people with loved ones to protect and avenge. THE DINER by Michael Puttonen - Sometimes a life lived hasn't been lived at all. HOMELESS by Neil Shooter - Winter didn't end, but his world has. Is he completely alone? In a world gone cold, what can keep the spark of life shining? 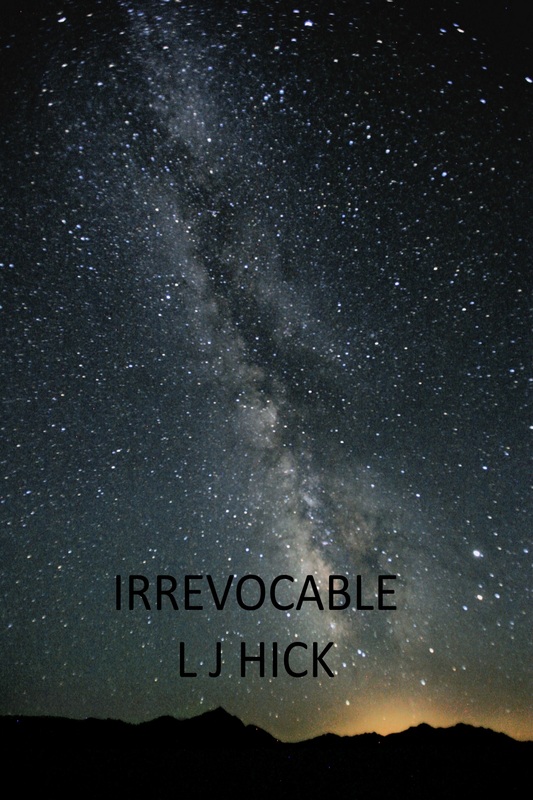 IRREVOCABLE by L.J. Hick - He did not accept finality. All he knew was that he had to change the impossible. SASHA AND THE COLLARED GIRL by Stan Morris - The man was willing to trade his prized possession, but she was already lost. AT THE BOTTOM OF THE LAKE by Clark Graham - A tabloid journalist discovers his outlandish stories just might be true. The car that nestled by the side of the trees had come to a stop with its engine and lights switched off. It was rolled into position to keep it secret. Not that there was anyone around to observe its approach, but the driver exercised caution anyway. Even as he left the vehicle, he closed the doors gently and opened the boot quietly to retrieve a heavy cloth bag and a cylindrical sling. Once he had closed the boot of the car, he made his way into the woods. He paused to put on what looked like a pair of ski goggles before continuing on his way. The glasses that now adorned his face lit up the woods like a summer day. He made his way through the thick barrier of branches, bushes and foliage before stopping some hundred yards from the boundary of a heavy wooden fence topped with barbed wire. He opened the sling and pulled the sleek black metal from it. He locked the different sections into place, carefully checking his work before adding the sight and the silencer. He crouched down, but in such a way as to be completely comfortable and still. He pulled the rifle into position and put his eye to the sight, slowly bringing it through an arc to survey the surroundings in front of him. When he had done this a dozen times, he slung the rifle across his back and took a position at the fence itself. He used the wooden fencing as a support and once more took the rifle in an arc in front of him. There was no gate here, just the fencing, and on the opposite of it, there were small trees and bushes that served to mask the area beyond. The house that stood much further back was a huge Victorian building. The moon shone brightly, illuminating its roof and the brickwork and tiles that had seen better days. He ran his scope along the contours of the building, playing with the top of the roof before using the chimney as a guide to drop to the first bedroom window. He knew that this view was of the side of the house. There were four windows with lights on downstairs, and two of the bedrooms were lit, including the first one. He knew that his target would pass by one of the vantage points but it could be some time. He placed the rifle to one side and used a more manageable pair of binoculars instead of the rifle’s sight. The night was young and he had decided to give it until one hour before daylight before abandoning his task if the opportunity to complete it did not arise. Patience was a virtue that he possessed and prided himself on. When the hours passed and the slight drizzle of rain fell upon him, he never cursed or moved for shelter, he just held his position and waited for his chance. A third light came on from one of the upstairs bedrooms and a shape shuffled across to pass quickly in and out of view. He picked up the binoculars and held his view on the window. Sure enough, there was his target, adjusting his tie and briefly glancing through the window itself. He picked the rifle up when the light disappeared from the bedroom and focused it on the first window to the left of the building. He scanned the room as best he could. The windows were very narrow and decorated with strips of metal. He knew that the windows were indented with thick glass, and coupled with the distance from him to the property itself, made his target very difficult to hit. He hoped and prayed that when the time came he did not miss. He could make out the medium-sized portrait on the wall and the shelving that stood to the right of it and focused the rifle sight on the portrait. When his target came into the room, he moved from one side of the window to the other, seemingly laughing and chatting to other people in the room who must have been seated. His target suddenly emerged with a drink and paused to look at the portrait. This was the opportunity, the area was too narrow to wait any longer, and he might never get another chance. He squeezed the trigger slowly and deliberately. The bullet shattered the window and fizzed into the portrait, narrowly missing the man’s head and embedding itself in the wall behind. There were screams as it dawned on the rest of the occupants what had just happened. The man who had nearly taken a bullet dropped to the floor. Lights came on in the rest of the rooms of the house and the alarm sounded, shrill and whining. It would not be long; the police would arrive and check the immediate vicinity before extending their search beyond the grounds and into the woods. He calmly took the rifle to pieces, put the main body back into the sling, and placed the sight, magazine and silencer back in the bag together with the binoculars. Using the night vision, he made his way back to the car and placed the bag and sling beneath the covering in the boot. He started the car and lit up a cigarette before winding the window down and driving back onto the road. He travelled a little way down the road before putting the lights on and increasing his speed. The narrow country lanes only lasted for another two miles before he took the slip road that fed onto the main road. He pushed the accelerator down and drew deeply on the cigarette, smiling widely as his car found other cars and lorries to mingle with on the highway. Ronald Mason was tired of the endless questioning by the police. Yes, someone had tried to put a bullet in him but what he really wanted to know was whether they were going to catch the would-be assassin and why had someone made an attempt on his life. Ronald was a renowned physicist and when the funding he had been so dependent on to continue his studies was withdrawn, he did not hesitate to borrow the money to fund his own research. With a couple of breakthroughs in particle physics, his company grew and attracted bigger and wealthier investors. At the age of thirty-five, he was rich beyond his wildest dreams, but that meant nothing to him. It was the research and the advancement of science that fulfilled him. Dancing on the cutting-edge of science was the lifeblood for him. His wife Carol made yet another coffee for the detectives, mumbling that nobody seemed to drink tea nowadays and only sat down when the last of them had left and the man who actually was going to do something arrived. She was still shaken by the events of the previous night and for the first time in her life was grateful for not having children yet. Gary was a detective for some thirty years and the owner of his own private security firm for the last ten. The police had offered them protection and Ronald had agreed to the standard hotline and the car parked outside the house, but nothing else. Gary had looked after security for a while now at Ron’s firm and he had never let Ron down, made any mistakes or failed to respond when the situation demanded it. “They said they’ll find the man who did this and have a car sat outside to keep an eye on me and Carol,” said Ron. “Well, that’ll stop a guy with a sniper rifle. They don’t even know where he took the shot from yet,” said Gary, shaking his head. “I heard one of them say that the shot must have been taken behind the fences in the woods, but the others said that was impossible. They said the sniper could not take the shot accurately from there. The windows here are excessively small, and when the shot was taken, I was walking across the window, not standing still. The sniper would have known that he would have to be incredibly lucky to hit me from there, so he would not have taken the shot,” said Ron. “I’m not sure Carol will be comfortable with being alone in the house with another man,” said Ron. It was not long before the two bodyguards arrived. They arrived in separate cars. Trent had a sleek black BMW and Karen arrived in silver Audi. Trent was a blond, youthful-looking man. Clean-shaven and with bright blue eyes he could have been the postcard American surfer. Instead, he had no discernible accent but spoke softly and precisely. Karen had long hair that was bunched in a bob at the top. Dark brown eyes stared out from beneath her Auburn hair and once again, she appeared to have no accent. Ron introduced them both to Carol and when Gary left, the pair of them did a grand tour of the house and arranged things a little differently outside. They erected screens just off the windows to deter any further sniper attack from a distance and placed a series of electronic alarms and sensors at different access points to both the house and the grounds. Trent shook his head. “No need. Once you are in here, you are safe. When you leave the house, though, that’s when we need to know. So don’t even put a toe out of that door if we don’t know about it,” he said. “Not really. Not if you include me and Carol being together. Why do you ask that?” asked Ron. Trent and Karen both left the property. With the doors and windows locked, Ron and Carol went to bed, safe in the knowledge that the army of dogs and flashlights that patrolled the grounds were their army of dogs and flashlights. Over the coming days, the security arrangements for the couple remained consistent. Trent and Karen arrived every morning and Trent would accompany Ron to work whilst Karen remained with Carol. The women would discuss everything from houseplants to world politics and Carol was amazed at the level of knowledge of world affairs that Karen displayed. Trent stuck tight to Ron’s side and always asked whether Ron would be alone at any point. This was never the case, however. This was Ron’s company and there was always someone with him, together with Trent of course. In the evenings, Ron and Carol would relax with a glass of wine after their evening meal. Ron had started to look at the picture on the back wall regularly, rubbing the bullet hole with his finger. “It’s not the picture, it’s the bullet hole. They keep saying the man who did this had to take an impossible shot, but if he was a professional, why take an impossible shot?” asked Ron. He beckoned Carol over to the portrait and pointed towards it. It was a portrait of his father and remained hung on the wall despite the damage, waiting to be repaired once the police gave him the okay to do so. The next morning Trent stood outside, leaning on the car, waiting for Ron. The sun was already oppressive and the glare made it difficult to see everywhere. Trent wore the sleekest looking pair of sunglasses Ron had ever seen and seemed to have no trouble with the sun, even if it involved looking directly at it. Ron was hurrying to the car and as Trent opened the door, he accidentally caught Trent in the face, sending his glasses crashing to the ground. Trent cursed, but not in English. Ron looked at him for a moment and then found his words. “Are you fluent in it?” asked Ron. “It’s more of a dialect, to be honest. I’m not sure most of it is spoken correctly. Some of the cursings have stuck with me. That wasn’t directed at you, by the way, just the glasses. They’re sort of one of a kind,” said Trent. He climbed into the back seat. Trent walked around to the front passenger seat as the driver started the car. As he turned to face the house, he caught the glare of Karen who stood in the doorway staring hard at Trent. Trent smiled and waved at her but Karen just kept staring. That night as Ron and Carol were relaxing, watching television, they heard the sound of a muted argument outside. Ron dimmed the lights and peered cautiously through the window. There, standing by their cars were Trent and Karen. They had both left the house a good ten minutes earlier but still had not left the grounds. Trent seemed to be apologising for the most part, with Karen poking him in the chest every now and again. She never stopped her verbal assault on him, pausing only the once to turn in an angry circle wagging her finger before plunging it into his chest. Ron turned to call to Carol but she was already behind him, watching the couple arguing. The next day Carol stood in the kitchen, making herself and Karen a strong cup of coffee and burning a couple of rounds of toast. She spread the butter thinly on the toast and turned back to Karen, speaking as she munched on the toast. “How much longer do you think you two will be here for?” she asked. Normally, Karen would laugh at a suggestion like this. In all her time with Carol, she had been amiable and had shared a similar sense of humour, but this time, there was no change in expression, just a stony face. Carol decided to stop the conversation there and pursue another subject. Karen plainly was not happy with this line of questioning, whether she and Trent were a couple or not. “You know Ron and his team are on the verge of some breakthrough at work. He says that the world will never need to dig for coal or drill for oil again. That energy will be free for all. Do you think that’s why someone tried to kill him?” asked Carol. “I don’t know. Don’t get me wrong, he does tell me these things, he tries to explain it but I don’t understand. All I know is that he says it will change the world. Things will change for the better,” said Carol. “Well last night he was waxing on about how in a month or two they’ll be ready to go,” said Carol. She thought that the conversation might bring back her amiable friend but instead the stony-faced one remained. Trent had become accustomed to Ron’s infatuation with routine on the car journey and never thought to ask why they had to stop at a certain shop to get his newspaper. The regular stops at the small terraced house, where Ron would enter the house to spend an hour in there, at least, every day on his way home from work, finally got the better of Trent’s curiosity. “You can tell me to mind my own business if you like, but why do we stop here every day?” asked Trent. “You never come out of the house with him though and he never comes to your house. Hell, we could give him a lift there and back if it’s that important to you, Ron,” said Trent. Ron turned and stared at Trent. The anger in his face was barely disguised. It was as though the question was unforgivable. That night, Ron and Carol were looking through the window again. Ron was beginning to wonder whether the two of them were beginning to lose the plot. The argument took the same format once more, with Trent on the defensive and Karen pointing and doing most of the talking. This time, she pointed towards the house every now and again. Was she pointing towards the house, though, or was she pointing towards Ron and Carol? “For a couple of bodyguards they seem to have let their own guard down a little too much,” said Ron. “She said they weren’t a couple but she was incredibly defensive about it,” said Carol. As he spoke, Trent moved towards Karen and grabbed her by the arm as if trying to calm her. The struggling Karen continued to point with her one free arm and protest but relented when Trent pulled her close and hugged her warmly. Ron and Carol both smiled as Trent lifted Karen’s head to his and kissed her passionately. “Yes, you did sweetheart,” said Ron. “Let’s respect their privacy.” The couple both moved away from the window as Trent and Karen continued their kiss outside. Their secret observation of the bodyguards made their personal relationships with them much closer. Trent would go into the newsagents with Ron and got to know the shopkeeper. They would even stop off for a drink together at a nearby pub on their way home, but Ron never let Trent come into the terraced house with him. Carol and Karen had now started to go shopping together, interrupting their spending to take lunch. They also had a regular planned diet of television that they adhered to religiously. Carol never broached the subject of Trent and Karen’s personal relationship again, however. One night as Ron looked out of the window, he noticed that Karen was gone but Trent remained outside gazing at the night sky. Ron pulled on a coat and ventured outside to join him. “You should not be outside,” said Trent, his gaze not leaving the sky. Trent smiled and Ron walked towards him. Ron stopped and gazed at the night sky along with Trent. The stars twinkled in the clear sky and Trent pointed towards what seemed a particularly bright one. “Looks like a star, doesn’t it. It’s a planet, though. Venus,” said Trent. “I have not seen the stars in such a long time,” said Trent, suddenly in a world of his own, his face drawn with remorse. “I meant I don’t have the time to watch the skies these days. There was a time when that was all I used to do,” said Trent. “As a child and as a man. I shouldn’t tell you this but I was a scientist as well. Events caused me to take a different path and so I find myself here, far from home, doing a task I should never have had to,” he said. “I worked with a man called Johnson. He was a physicist. We argued about everything. The state of this planet suited Johnson. He became very rich by suggesting alternatives to conventional ideas about cleaning up the environment,” said Trent. “You’re a physicist. You know that if you could put a mirror on the moon that the image in the mirror would be two or three seconds in the past?” asked Trent. “So you think he was planting seeds and actually talking to people from the past?” asked Ron. “I asked him whether it would be possible to actually step back in time and change the past. Put the Earth right. He just laughed at me. He said that even if we could go back in time, we would change nothing in the present because the past had already affected it,” said Trent. “Didn’t stop us from trying to time travel, though,” said Trent. “Well if you have qualifications, you can still do the thing you love. After this has finished why don’t we see if we can find a place for you in my company? It’s never too late, Trent,” said Ron. “It is too late, Ron,” said Trent, smiling at his friend. He climbed into his car and wound down the window to wave a hand at Ron as he drove away from the house. Ron watched Trent drive his car through the gates. Once the car had vanished from his sight, he turned to go back towards his house. He stopped and looked up at the night sky. There shining brightly in the night sky was Venus. Ron suddenly felt cold and very alone. He hurried back inside quickly to embrace Carol. Trent’s revelation that he too had been a scientist cemented his friendship with Ron. Their relationship had continued to flourish, although Ron did not broach the subject of Trent’s previous occupation and Trent never spoke of it either. Their stops at the pub became more frequent, although they did not interrupt the regular visits to the terraced house. Gary and the police were no nearer to solving the identity of the mysterious sniper. In fact, the police now seemed to have no interest in Ron and Carol at all. Even Gary was beginning to doubt the wisdom of keeping so many men at the property, to the extent that he was considering withdrawing Trent and Karen from the job. Trent had protested, however, stating that this could be exactly what the assassin was waiting for. Gary agreed, not least because he could not afford to take the risk. The weeks passed by without incident and the winter set in, making the days shorter. Then one day they stopped at the terraced house as normal and Ron left Trent and the driver to enter the property. He was longer than usual and Trent became restless after an hour passed by. He was on the verge of leaving the car and entering the house when Ron came back outside and returned to the car. Ron was shaking a little but stared through the windscreen, he seemed fascinated by the views outside the car. Trent stared at Ron and then the driver. He was relieved when Ron spoke. “Tell the guards to keep away from the property. I don’t care how you do it. And get Karen to take Carol out for a meal or something,” said Ron. Trent phoned the guards at the house and told them to step back from the property itself, as the assassin might be trying to access the boundary from either the wood or the fields. He then rang Karen, who agreed to take Carol out for dinner. Ron noticed Trent was busy texting Karen as well but he did not ask why. He just smiled and enjoyed the nighttime views that he saw from his seat in the car. As they pulled up to the gates, the two men blocking their entry opened the gates and waved them through. In the rear-view mirror, Ron could see both men leaving the grounds of the house in a black BMW. The driver pulled up to the front of the house and then as Trent and Ron made their way into the house he left as well. Karen and Carol had already left and the house was completely empty except for Trent and Ron. “He never thought I would amount to anything. He called me a fanatic, a dreamer, a man who did not know the meaning of sacrifice. He was wrong,” said Ron. He moved away from the painting and sat down at the small writing bureau. Taking out a notepad from the drawer, he ripped a page from it and wrote what looked like a single word on it. He crumpled the paper up into a small ball and gripped it tightly in his right hand. “I am ready,” he said and looked up at Trent. Trent stood no more than four feet away from Ron, his gun pointing at Ron’s head. Ron raised an eyebrow for a second but said nothing. Ron still said nothing but started to twirl a pen around in circles on the top of the wooden bureau. Ron still did not move but spoke at last. “Tell me. This dark matter? Will it make me famous, would it make my father proud?” he asked. “Initially yes, and I suppose your father would be proud, but...” said Trent. “Then do it. Do it now, while I still have resolve. While I still believe in sacrifice,” said Ron. Trent steeled himself and fired the gun, sending a single bullet through his friend’s forehead. Ron slumped, face down on the bureau, his blood spilling across the wood. Trent holstered his gun and took a moment to kiss his friend lightly on the back of the head. Trent ran from the building and made his way across the grounds. Vaulting the boundary fences and running into the woods, he pushed back the branches and twigs as he ran in and out of the trees. In the distance, every ten seconds, a car horn made a single sound. He ran towards the noise, breathless, afraid and distraught at what he had just done. The tears streamed down his cheeks. As he left the woods, he fell into the arms of Karen, sobbing hysterically. “It’s not okay. He was my friend. He trusted me and I killed him. I killed him, Karen,” said Trent. “It’s a rental. False ID. By the time they find Ron, we will be long gone. New identities and a new life. This is our world now Trent. We cannot go back, but we, at least, know our world will not be poisoned,” said Karen. “Johnson said it could not be done. He said you couldn’t change the past because it has already happened. Irrevocable he called it. Yet, here we are. Johnson was wrong, thank God. I am so glad he was wrong but I hope that wherever Ron is, he forgives me. Carol is safe, isn’t she?” asked Trent. “I left her at her mother’s with one of the security team. We saved her at least. Ron was my friend too and I am trying not to imagine Carol’s grief when she discovers what has happened,” said Karen. Trent pulled himself to his feet and the couple climbed into the Fiesta. Karen sat in the driver’s seat and looked across at her husband, who was still struggling to hold back the tears. She leaned across, kissing him gently on the cheek before starting the car. They both turned and smiled at each other and clasped hands gently. The lorry losing control on the corner behind them came hurtling through the rear of the Fiesta, pinning it between itself and a large oak tree, crushing it into a pile of twisted metal and killing the occupants instantly. Only the hands of the couple were visible in the carnage, still holding each other tightly. The group of people moved away from the grave and began to disperse into smaller groups, all having their own respectful discussions. Gary stood behind the man placing a single white carnation on the grave. Ron Mason stood up and straightened his coat. “He was the same as me. A scientist. Truth is he was brilliant. Far better than me but father ridiculed him because John wanted to talk to other worlds, different dimensions. He was thirty years old when he claimed that he could talk to people in the future. His behaviour grew erratic. He would wake up screaming and he even attacked people, saying that they wanted to kill me. We found a gun in his house and that was the last straw. I had no choice but to keep John away from the rest of society for his sake as well as theirs,” said Ron. “We don’t know. The cops don’t know. It’s as though they came from another world. No trace of a real identity, although they had a brace of brilliantly forged identities,” said Gary. “They nearly got away, I’m told,” said Ron. “I wonder why they wanted to kill me?” asked Ron. “John kept saying that someone was coming to kill me. The man in his head warned him that he had to save me. On the day Trent shot John, I stopped off at the house as normal only to find his two carers unconscious. I found John in a room by himself, he kept saying it’s today, it’s today. Sacrifice, I know sacrifice, he kept saying. I asked him who warned him, tried to calm him before phoning for help for the carers but he just said 'I will tell you after I am gone'. Then he stuck a syringe in me and the world went black. Woke up in just my underpants,” said Ron. “Identical twins. Even the hair,” said Ron. “You know, he insisted on changing his name just before he lost it completely. Said it was important, he made me promise never to tell anyone. He even managed to falsify documents to show that he had died at birth. For all intents and purposes, I had no brother, well not one that the history books would know of anyway. He said that they must not know of him, whoever they might be. The man in his head told him this,” said Ron. “You’re not responsible for this, Gary. They fooled us all; me, you and the police. In two weeks time, I have a very important announcement to make. I have discovered something that will change the world. I need people around me I can trust. I am refusing your resignation. I expect to see you back at work tomorrow morning, nice and early,” said Ron. “Yeah. He always said he would tell me how but I guess we’ll never know now,” said Ron. Carol hugged Ron tightly and he returned her embrace. Gary was running back towards them, holding something in his hand. Ron and Carol separated as Gary approached.